1. You can absolutely do this thing. When I started out as a coach, I had no formal business training and no previous financial success. The only things I’d done in sales were two short-lived jobs in college – telemarketing and selling vinyl siding – both of which I failed miserably at doing. I believed I could help people, but who’d really want to pay for it? I can assure you from experience that disqualifying thoughts and feelings are all they are – thoughts and feelings. They’re not valid. Fear is normal. You’ve done much harder things that starting a coaching practice. Of course, I didn’t know that when I started, but it certainly would have helped! 2. Don’t allow staying busy to fool you into thinking you’re working on your business when it’s actually a clever form of procrastination. There are really just a few things new coaches need to focus on when they’re starting out their practices, but it’s amazing how many things you can find to do that enable you to avoid the uncomfortable things that will actually build your business. I tell our coaches all the time: When you start out as a coach, 80-90% of your time is simply developing relationships with people and serving them to add value and benefit so that they’ll become clients. 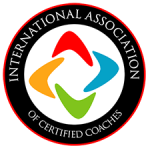 For a traditional coach, that might be a group of people you regularly connect with and serve in a networking group or various other places. If you’re a virtual coach, it might be your network (audience) on Instagram. When coaches are uncomfortable with the relational aspects of business – like meeting new people or connecting with groups within their network – they have the tendency to get distracted other activities in order to avoid it. For example, it’s much easier to curl up behind a laptop and tweak a website or get lost watching youtube videos about coaching. The reality is, procrastination is just an escape from doing what you really need to do. It feels like an activity, and it is, but if it’s not an income-producing activity, then it’s simply avoiding what you need to be doing. 3. Don’t get stuck in the coaching training/preparation hamster wheel. Coaches are generally wired as learners, and learning is great. But the most learned coach isn’t the one who theoretically or philosophically knows a lot about coaching, but it’s the person who has war stories of being in the trenches as a coach. Experience really is the greatest teacher. Most of what you will learn about coaching isn’t going to happen in a classroom, but when you have another human being across the table from you. I also know a lot of coaches who are always studying, reading, and attending workshops. That’s great. But, at a certain point, training can become its own obstacle to starting. You just need to start and find out what you know or don’t know. 4. Don’t get hung up on coaching professional organizations, training hours, and multiple credentials. When new coaches do their initial research on coaching, they find various organizations and schools touting themselves. There’s not a problem with that. We aren’t afraid to tell everyone we’re the largest life coach training program in North America and the #1 life coach certification online program. However, the value of any program, credential, training, and professional organization is what it can do to help build and encourage you as a coach. But being a part of any of these things isn’t what actually builds your business. I think a lot of coaches mistakenly believe if they are a part of any of the ABC organizations that it’s going to attract clients. That is false. The coaching market knows very little about coaching and knows nothing about credentials or professional organizations. Just remember that whatever training and affiliations you choose is for you personally, not for your clients. 5. Coaching is 90% business and 10% coaching. When you go to most coaching schools, the opposite is true about their training: it’s 90+% coaching and less than 10% business. If you’re a learner, don’t spend all your time learning about coaching techniques, etc. Spend the lion’s share of your personal development time on how to build your business. And if you need a program to help you launch, a little over 2 years ago, we created Jumpstart Your Coaching Practice. Jumpstart has a 20 module business development roadmap that is an A-Z on how to get a coaching practice started and includes weekly mentoring in the form of a live group call and an online community where you can roleplay with other students and get feedback on what you’re working on. Jumpstart is also bundled with the Life Coach Certification Course, so you can get certified while getting the business support that you need to get your practice up and going. Starting out doesn’t have to be difficult. It’s all about doing the right things and being consistent about doing them. Paul Dabdoub is a master coach trainer & mentor, speaker, writer, and entrepreneur, and an executive coach who’s literally helped 1000’s of people take practical steps towards their future. Paul is the founder of Life Coach Training Institute - the largest life coach training school in North America and the #1 life coach certification online program.